The following piece is from Ultimate: The First Four Decades, available now in ebook form. Maybe it was a matter of time, maybe it was just the right time for serious sponsorship—whatever the case, the Cuervo years began in 1990. Former Tunas and Sky Pilots player and leader Dee Rambeau found an opportunity to take ultimate away from the restrictive socialism of the UPA and towards the capitalism and marketing merriment of big money. Rambeau was working as an event manager and game announcer for Carson International, a Sun Valley, Idaho, firm specializing in sports events and sponsorship. At the time, Carson was running a series of beach volleyball tournaments for Cuervo called the Cuervo Gold Crown Series, held in conjunction with the Association of Volleyball Professionals (AVP)—a player-run organization similar to the UPA. Hard-alcohol companies couldn’t advertise on TV, so Cuervo and others got around the limitation by heavily sponsoring events that would be televised. Rambeau, an aggressive promoter, convinced Carson that ultimate, like beach volleyball, would make a good sponsorship opportunity. Carson suggested that Cuervo sponsor Nationals. Rambeau, having had a few bad experiences trying to work out television deals with the UPA, disagreed, “I said that the only way to spend their dollars would be to create a new series—sanctioned or not by the UPA—where we could offer prize money and set our own rules.” Rambeau thus became the point man for bringing together Cuervo’s money with ultimate’s sassy spirit. 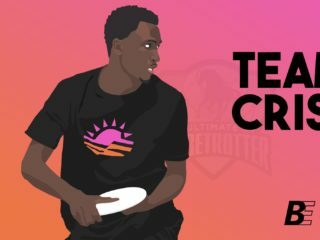 Convinced that television, big sponsorship money and media attention was the wave of the future for ultimate—as many elite-level players were—Rambeau set about changing the game to fit the new paradigm. The first thing he did was meet with Neal Dambra, the newly elected executive director of the UPA. It was the two-point experiment that is remembered most today. “The two-point line was actually described to me verbally at New Year’s Fest the previous January by Kenny Dobyns,” credited Dambra. In fact, the concept was only passed on by Dobyns. His teammate, Dave Blau, brought his father to Nationals one year. 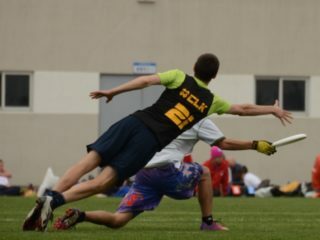 When watching a game in which New York held a three-point lead, the elder Blau suggested to his son that ultimate was boring and that maybe there should be a two-point play—otherwise, no team down by three to New York would have a chance of winning. “Rules changes were considered sacred and the domain of the players as a whole. But after Dee and I finished the rules discussion and a twelve-pack of Heineken, he just looked at me and said with a big smile, ‘I’m gonna do it,’” said Dambra. “Cuervo was happy with the budget for ultimate. When we initially decided to pursue the series, we made a five-year plan, with a nationally televised event in years four and five. This followed the track they’d done with volleyball resulting in coverage on ESPN and the highest payout of the entire AVP series,” said Rambeau. For the first year, Cuervo and Rambeau aligned with an already existing tournament, the 1990 Fourth of July tournament in Boulder, Colorado. In the second year, Cuervo and Rambeau decided to separate a little more and tweak the rules. Thus, Dambra and Rambeau’s initial ideas came into play. The new Cuervo series shortened the end zones to 15-yards each and lengthened the playing field to 80 yards. Games were played to 11 with time caps, and a two-point line was introduced at mid-field, called the “Gold Shot” line, named after one of Cuervo’s tequila brands. The first Cuervo Championship was held in September 1991, in Atlanta, Georgia. As part of the sponsorship package, prize money was awarded to the champions. New York was there to capitalize. Down 12-13 to South Bay in an overtime game to 14, New York could only win with a two-pointer. They kept handling the disc behind the Gold Shot line before Bob DeMan chucked a hanger into the end zone. Fittingly perhaps, it was Dave Blau who ran halfway down the field and caught the disc amidst a crowd of players. New York walked off with a check for $3,000. In February 1992, Cuervo put up some money for New Year’s Fest and teams that made it to the finals “qualified” for the Cuervo Championships later on that year in Boston. New York and the Maine-iacs again won the tournament. But the backlash against Cuervo began in June 1992. In the Newsletter, Troy Frever wrote an anti-sponsorship essay that warned of the sky falling if ultimate were to cave in to sponsors. The success of Cuervo’s sponsored series seemed to threaten the natural state of the game. Others felt that sponsorship by an alcohol company wasn’t appropriate for a sport that was actively courting high school students to the playing fields. Some on the UPA board were afraid that ultimate was going to sell out its principles. The last hurrah between Cuervo’s gold and ultimate’s maverick spirit came in September 1992 at the Cuervo Championships in south Boston. That year, the Nationals champs in both divisions, the Maine-iacs and New York, couldn’t pony up the money to get to Japan for Worlds. But they could make it to Boston for the Second Annual Cuervo Championships with $15,000 guaranteed in prize money. New York again took the opportunity to win a few bucks and bring shock and dismay to Boston by coming back from down 14-9 with less than two minutes to play to win, 15-14, behind two game-breaking two-pointers. Lady Godiva beat the Maine-iacs in the women’s final, earning four thousand dollars along with New York. The losers on the Boston Commies and the Maine-iacs still made off with two thousand for their efforts. Then came the party afterwards. There might have also been a problem in that the game wasn’t selling enough product. 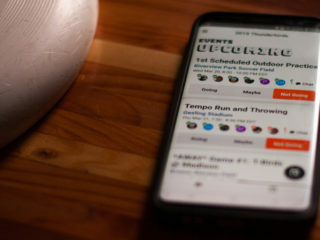 By ultimate standards, the Cuervo Championships were a hit with many players because they were well-run by Rambeau and drew a lot of spectators. But they certainly weren’t getting 25,000 fans like some of the Cuervo-sponsored volleyball tournaments. Cuervo pulled out of the deal in early 1993. The UPA board didn’t seem to mind. Robert “Nob” Rauch, in particular, was proud of the fact that ultimate didn’t go along with the money and the lure of a potential professional league. For others, Cuervo came to symbolize a lost opportunity for mainstream acceptance and professional success. 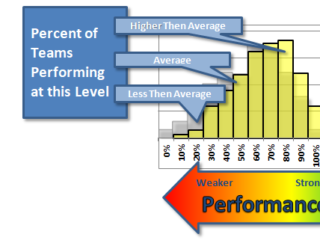 “I’m convinced that ultimate players have always been their own worst enemies. 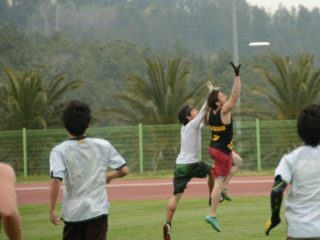 The irreverence and rebelliousness, the self-regulation, lack of structure and the fights—everything that made ultimate so fun to play were the things that made it impossible to sell. If you can’t sell the sport to a tequila company, who can you sell it to?” said Rambeau recently.